The Halloween/Thanksgiving/Christmas baking season is just around the corner and I decided to stock the pantry with baking supplies. Well, I was shocked at the increased price of good quality vanilla; some of it is as high as $15 for just a few ounces!! With that in mind, I decided to make my own vanilla, although I had NO CLUE how to do it. After some Internet research, I was thrilled to learn that the process was SUPER EASY and only takes TWO ingredients (vodka and vanilla beans)!! At first I was concerned because vanilla beans are not always in my budget. I like McCormick brand spices, but their price for TWO vanilla beans is over $10!! Homemade vanilla extract would be outrageously expensive at those prices, so back to the Internet. 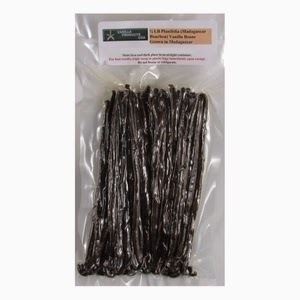 I discovered that the best vanilla extracts are NOT made out of the same kind of vanilla beans that you bake with (whew!! That was a relief.). Vanilla extract is made with Grade B vanilla extract beans (I didn't even know there was such a thing). Google it and you will find a lot of places to buy them. Just make sure they are labeled MADAGASCAR BOURBON EXTRACT GRADE B VANILLA BEANS. This makes a LOT of vanilla, but I have in mind to put it in pretty little bottles and tuck it into holiday gift baskets, so a quart of extract is a good thing. Don't waste your money on expensive vodka, thinking that this will make better vanilla...it does not. Good news!! The cheapest vodka works just as well as expensive vodka for this project!! 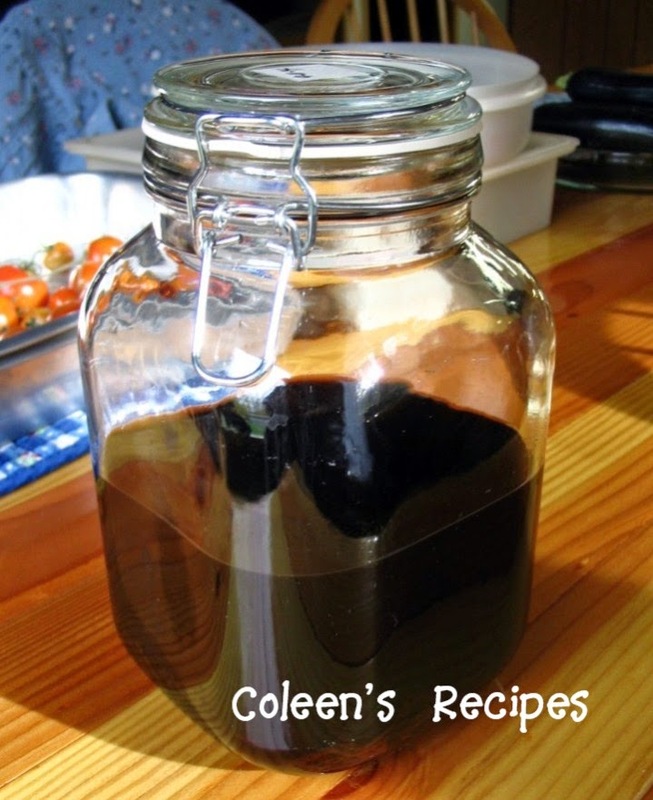 You will need a jar that is a bit bigger than a quart since the vodka AND vanilla beans have to fit in it (I learned that the hard way). Cut the grade B extract vanilla beans into 1/2" pieces and put them into the quart of vodka..........that's it!! 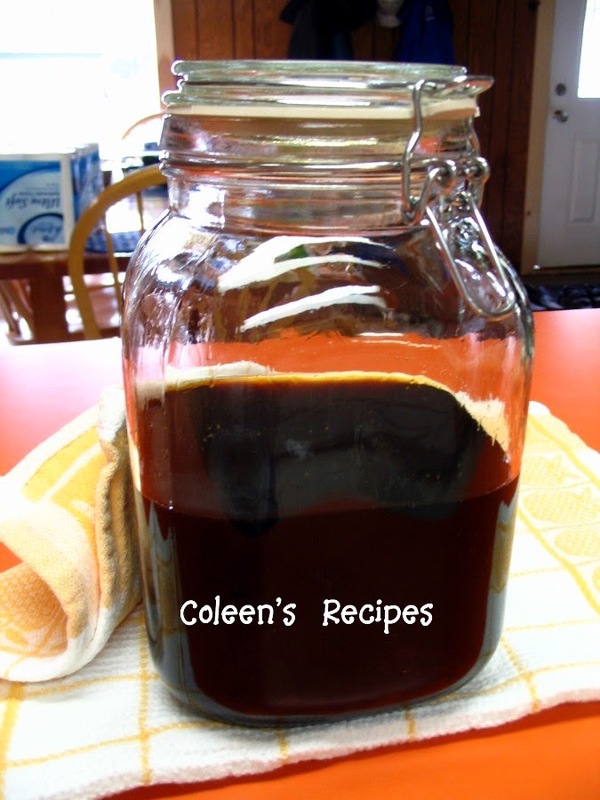 Now all you have to do is shake the bottle a little (every few days) and after a month, it will be extract!! What could be easier? Before using the extract (or giving it away), strain the spent vanilla bean pieces out of the extract. If you don't want ANY vanilla seeds in the extract, run the finished product through a coffee filter. 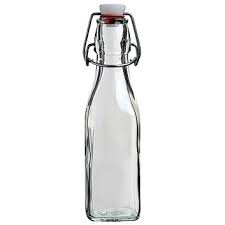 Decorative bottles like this are available online for about $2.50 each, they would make a pretty gift. This extract will be good forever, or until the very last drop. No need to refrigerate it. is not as "strong" as commercial vanilla...never fear! !